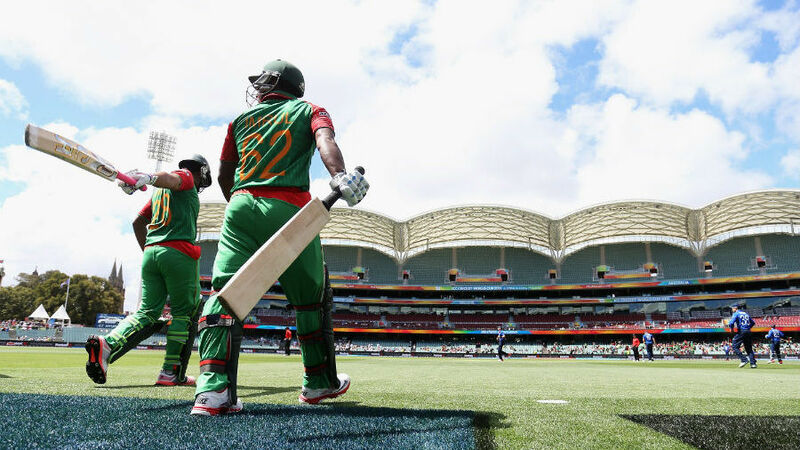 Bangladesh vs England Cricket World Cup Highlights - 2015 - 9th March. Ban vs Eng ICC Cricket World Cup 2015 33rd odi Match Highlights at Adelaide. ICC Cricket World Cup Highlights. Bangladesh Squad: 1 Tamim Iqbal, 2 Imrul Kayes/Soumya Sarkar, 3 Mahmudullah, 4 Mushfique Rahim, 5 Shakib Al Hasan, 6 Sabbir Rahman, 7 Nasir Hossain, 8 Mashrafe Mortaza (capt), 9 Rubel Hossain, 10 Taskin Ahmed 11 Arafat Sunny. England Squad: 1 Ian Bell, 2 Moeen Ali, 3 Gary Ballance, 4 Joe Root, 5 Eoin Morgan (capt. ), 6 James Taylor, 7 Jos Buttler (wkt) 8 Chris Woakes, 9 Chris Jordan, 10 Stuart Broad, 11 James Anderson.